The funny thing about this is, if I had waited just a tad bit longer, I might’ve still kept receiving these pictures from y’all. And, in fact, keep them coming. Got a Weekend WTF?! to share with the class? Send it on over to wtf@blackgirlsguidetoweightloss.com! The Meal Plan Reviews Are Coming In! Get Your Copy Now! They aren’t REAL cheese! They are ” cheese products”!!! Honestly I thought I would miss my velveeta, but I don’t. Besides, buying cheese that is sold on a SHELF is soo whack.com! I LOVE cheese and I mean LOOOOOVE IT. 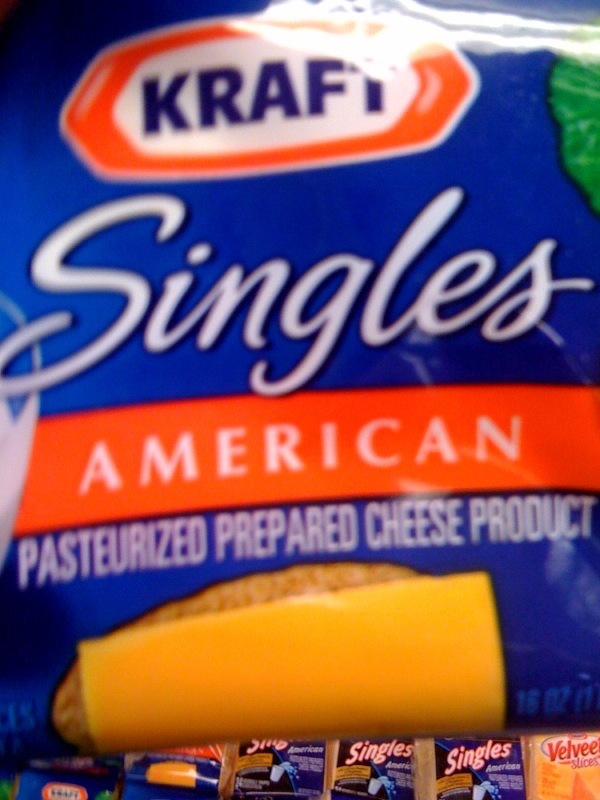 This is why I stick to buying only a few labels because they do not say cheese product. They are straight up cheese. 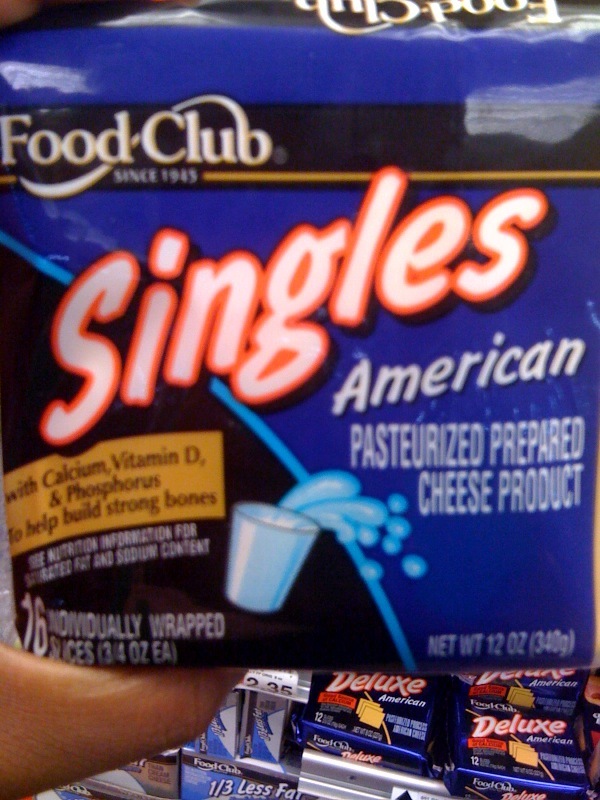 I hate and I mean with a passion american cheese. Velveeta taste like plastic. A former chef of mine who is very smart and worked in science before being a chef told me that it is pretty much a few steps away from being plastic. How true that is idk but considering it taste like it, I’ll go with it. Not real cheese…gotta have the real stuff! If ima do it, ima do it bit. Give me smoked gouda, havarti, or white stilton with blueberries, or a nice muenster…or nothing at all. havarti… oh its been so long since I had that! Used to have a lot when I was a kid. I feel all nostalgic now! Ever so often I crave american “cheese” in an omelette. I always mix it with real cheese, but there’s something about its sweet creaminess that I like. A friend told me to sub ricotta and muenster, so hopefully that combo will eliminate my twice yearly jones for American cheese! 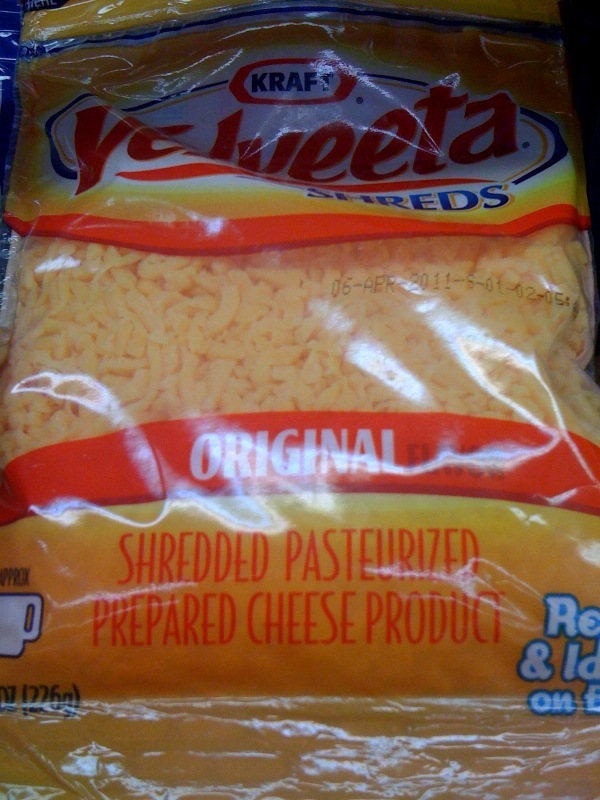 Yup…it’s cheese product…Which I steer clear from at all costs. YUCK!!!! I used to sell Pampered Chef products & 1 thing I learned was that there is a product on “pre-shredded” “cheese” that keeps the cheese from “caking”” up is a bi-product of saw-dust. Notice that id you shred cheese from a block of cheese, it clumps together. The already shreded stukk doesn’t stick togther. Not only that, but once starts to mold we throw it away. But once a block of cheese starts to mold we cut it off & keep it moving…right? I do… I know for sure, I don’t want to consume anything that has SAW-DUST on it!!! What do you say? Totally not surprised. Not in the least. “Anti-caking agent” is found on TONS of products… namely the least expensive of cheeses. Not real cheese! I got hip to this last year and just pay a little more for real cheese–my family and I are worth it!! I read on another site (Food Renegade) that everyone who eats cheese should avoid shredded cheese at all costs. 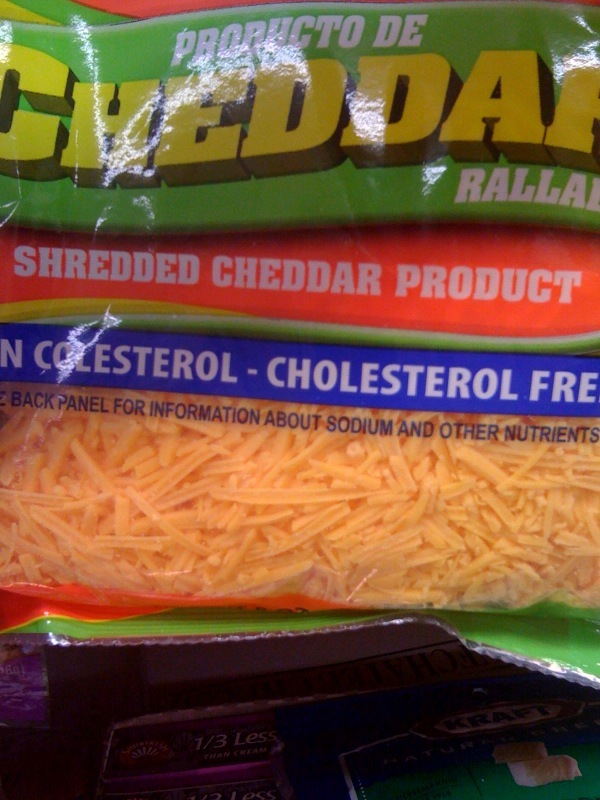 The manufacturers add “cellulose” to keep the shredded cheese separated during transport. But, the cellulose (isn’t just plant sugar), it’s literally wood pulp. So, every time you eat a little cheese, you’re also having some wood chips to eat along with your cheese. Disgusting.